Read 2 times. Last read July 15, 2010. Even though the authors of this book don't provide evidence on many of their stories, the reason for that is understandable and the stories are reasonable on many aspects (except for stories about the Edwards who are very surprising, but now seem to be not surprising at all). One thing the book does is (unintentionally?) compare the three candidates (Obama, The Clintons, and McCain) and their attitude towards the different events they faced throughout the campaign and you can draw your own conclusions on how attitude - not just plans and strategies - greatly affected their campaigns. Something I really love about the book is its story-like way of stating what happened. It sound like a novel rather than actual events. Of course, the drama of events itself helped with that but the writing style also did. 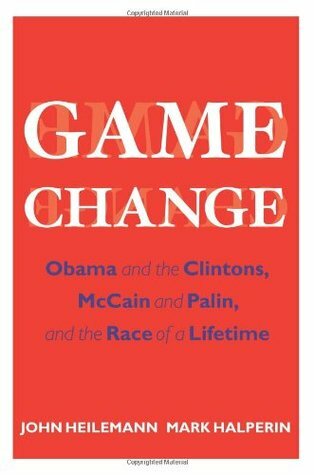 "Game Change" is a great read and really good look into the insides of American politics as it played out on the 2008 presidential campaign. Sign into Goodreads to see if any of your friends have read Game Change.